Special note: Don’t read about any of the films mentioned here prior to watching them. This “review” won’t spoil anything. 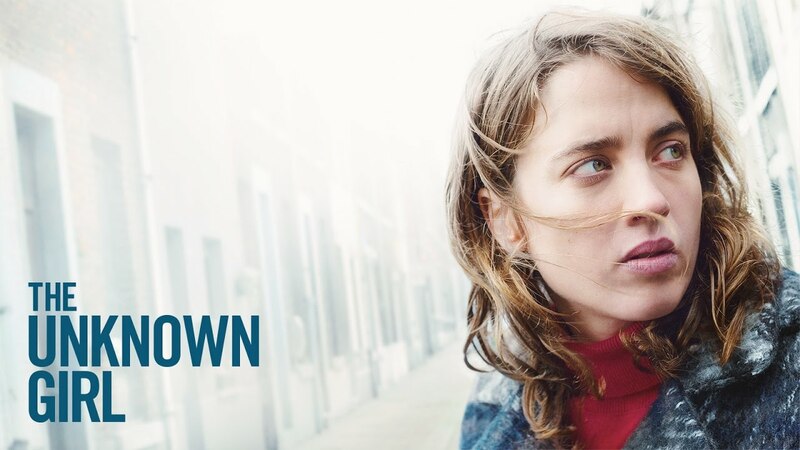 When we first meet Jenny Davin (Adèle Haenel) of the Dardennes brothers’ The Unknown Girl (La Fille Inconnue) — the smart, uncompromising young doctor who occupies virtually every frame of Jean-Pierre and Luc Dardenne’s 2017 excellent film — she is seeing a patient at the end of a long day at her clinic. A routine examination is interrupted by a sudden emergency in the waiting room, and even after the crisis is averted and the last of the patients have gone home, Jenny and her intern, Julien (Olivier Bonnaud), are tired, frustrated and on each other’s last nerves. When the door buzzes, she orders him not to answer it — a directive that feels less like a matter of after-hours procedure than an assertion of her authority. You may not think much of this curt exchange in the moment. But one of the lessons of the Dardenne brothers’ stirringly humane working-class dramas is that even the smallest lapses in judgment can have unpredictable, often shattering consequences. What unfolds contingent upon the doctor’s decision… her action after hours… is nothing short of breathtaking. And I submit that properly presented to high school and college students these days, this 2017 movie has the potential to move youngsters into a healthy realm most would otherwise never enter. The experience could be life changing. That age group is capable of getting elements of the film and acting upon the insights gained in a way that older folks cannot, as a rule. I’ve been an instructor of Cinema History for decades, arranging for film viewings in communities all along the demographic spectrum — showing every conceivable kind of serious cinematic effort produced by worldwide artists — and my personal vote for some of the best filmmaking of all time goes to the Belgian duo responsible for The Unknown Girl. The young doctor gets into playing a rudimentary game of detective in Seraing, the Belgian factory town the doctor calls home. The activity that ensues exposes the deep layers of everyday apathy and injustice in and around the Walloon municipality. It is another world designed by the filmmakers to bring viewers back into better touch with the real world they inhabit. Where something beyond life is shown to live within life… calling for the soul. This touches upon what I meant above when I suggested high school and college students might be open to the transforming aspects of the movie, whereas older people were unlikely candidates for… enlightenment. Epiphany. Grace. At this juncture in the Dardennes’ careers, their devotees could probably construct a map of Seraing based on a close study of their movies, which have turned this small world of nondescript apartments and construction zones into one of the most vivid and recognizable landscapes in international cinema. Even if you’ve never seen a film by the Dardennes — I’d start with their 2003 masterpiece, “The Son,” or one of their two Palme d’Or-winning dramas, “Rosetta” (1999) and “L’Enfant” (2005) — chances are you’ve seen a picture, like Darren Aronofsky’s “Black Swan” or Andrea Arnold’s “American Honey,” whose handheld camerawork bears the influence of the brothers’ unflinching observational style. Aesthetically their opus offers as much as the spiritual content I’ve been focusing on here. But what sets the Dardennes apart isn’t the extremity of their visual and formal techniques, of course. It’s the uncompromising moral vision and piercing emotional honesty at the heart of their work, their understanding that the most gripping stories are borne not of narrative contrivance but of human desperation. The Unknown Girl is an imperfect but absorbing addition to the Dardenne canon, a carefully plotted thriller of conscience in which Jenny spends most of the movie patiently and persistently atoning for what she considers a grand mistake. The camera follows her as she tirelessly keeps up incessant inquiries, seeing patients in her clinic, making the rounds at their homes and at one point visiting a seedy cyber café in one of Seraing’s African immigrant communities, where… well, you’ll see (I hope). Most of the individuals Jenny questions brush her off. But a few of them find that they want to talk, in spite of themselves, and in these privileged moments the directors’ unflinching focus pays off. Nearly every encounter is shot in a single uninterrupted take, as if a single cut would undermine the authenticity of the interaction. Jenny becomes more than a detective or an interrogator in these moments; through the rules of doctor-patient confidentiality, she offers them the liberating seal of the confessional. And the contrast between her approach and that of the generic angle embraced by law enforcement worldwide is worth contemplating, contrasting the results (across the board). It’s all quite pregnant with possibilities for deep insight. The Dardennes are known for eliciting superb performances from their actors, including their regular muses Olivier Gourmet and Jérémie Renier, who turn up in crucial supporting roles in The Unknown Girl. But Haenel, who was 26 when the film was shot, is front and center: This is some of the subtlest, most empathetic acting you’ll ever see, though many will find Jenny’s calm, by-the-book manner with her patients a bit too chilly and reserved. At first, yes. But her knowing professionalism is precisely what patients find so comforting. Her competence inspires respect, loyalty and trust in ways that simple warmth could not. That’s a point which — potentially — young and old can get. The film does have problems. But they are minor to my mind, the virtues of the cinematic experience canceling them out. A good doctor must listen carefully, ask the right questions and diagnose the human condition itself. True healing, the film reminds us, is a matter of not only the flesh but also the spirit. Richard Martin Oxman, Director of Flannery O’Connor Academy, has been an educator on all levels for over half a century. He can be reached at aptosnews@gmail.com.